Why is it called Cottage Cheese? 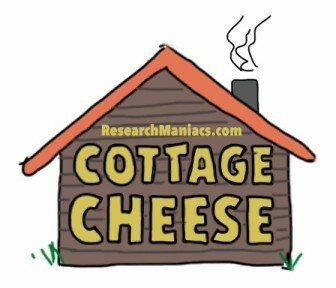 To find out why cottage cheese is called cottage cheese, we must first define cottage. Cottage is a small building that was very common on farms back in the 1800s. The Cottage was used as a place for workers to process food produced on the farm. One of the things the farmers used The Cottage for was making butter. As you probably know, butter is made out of milk. When the farmers were done making butter, the leftover milk was used to make cheese. You guessed it. They called this cheese made in The Cottage, Cottage Cheese, because it was made in The Cottage. Do you know what KGB stand for? Do you know what Latte mean?